Looking beyond straight teeth and improved bite, orthodontic treatment from Orthodontics by Birth, Stewart & Fletcher can benefit both oral and overall health. Now that clear aligners can be fitted with rubber bands; more people have the option of choosing clear aligner therapy over traditional braces. 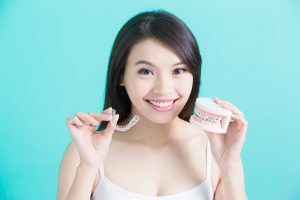 Crowding, overlapping, gaps, and mild to moderate bite issues can be corrected with clear aligners. Cost may be prohibitive to some, but for many others, the benefits outweigh the cost. A thorough screening from Orthodontics by Birth, Stewart & Fletcher will help show you which orthodontic treatment is right for you. Orthodontics by Birth, Stewart & Fletcher provides Fort Worth, Arlington, Keller, and Burleson, Texas residents with answers to their orthodontic questions. Give us a call or contact us online to schedule an appointment.